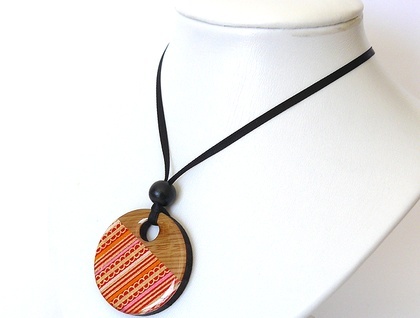 Stand out in style with this bright and unique handmade necklace! 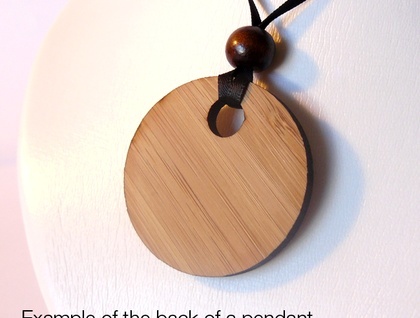 The pendant is made from a laser cut bamboo disc (100% renewable) and layered with gorgeous Japanese washi paper. The front is then sealed with clear resin to give it a beautiful glassy appearance. 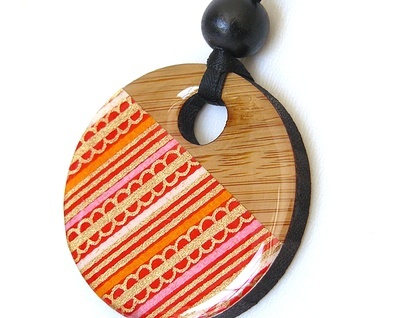 The 46mm diameter pendant comes on a ribbon (40-44cm long), and is finished with a wooden bead and quality findings. Message me or add a message when purchasing if you'd like the ribbon a different length or colour. 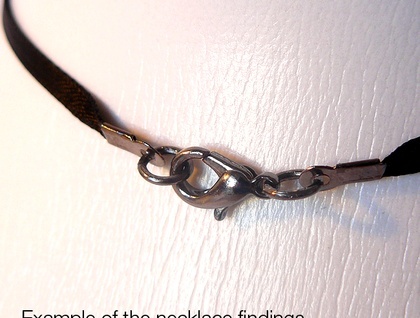 This necklace is light and comfortable to wear, one-of-a-kind and not mass produced. Handmade by Freedom Creative with care and love. It is splash, but not waterproof and not intended for young children.